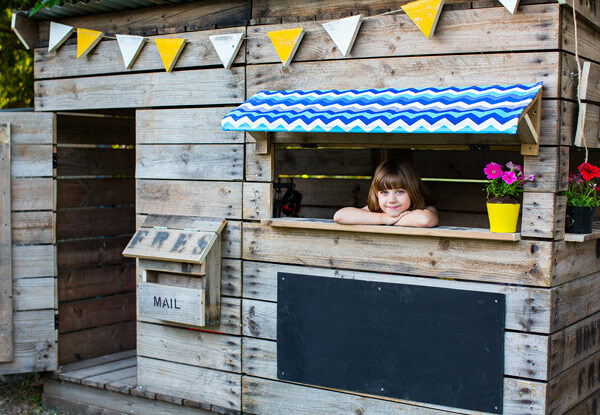 Castle & Cubby - backyard fun for kids all year 'round! Castle & Cubby – backyard fun for kids all year ’round! 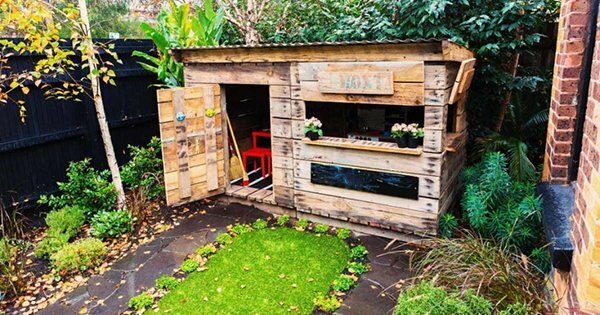 When it comes to children’s play, imagination has no limits and a backyard cubby house provides the perfect headquarters for all sorts of fun. Autumn is a great time of year for children to explore and play outside – just add wellies, a warm jacket and it will be mud pies galore served right from their cubby door! Castle and Cubby is a Melbourne family business, passionate about creating unique cubby houses and accessories. Cubbies are made using recycled and upcycled materials sourced from fruit industry suppliers, resulting in varied textures, amazing colours and quirky touches such as stamps and hinges. Castle and Cubby cubby houses are full of character and such clever and creative upcycling is a great way to introduce children to the idea of recycling too. 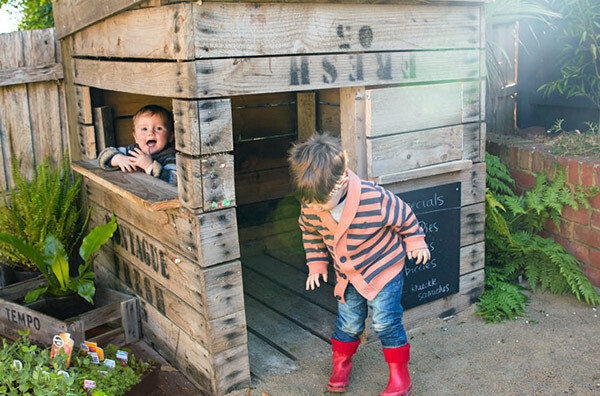 Cubby houses needn’t be big, oodles of fun can be found in small spaces! Castle and Cubby build in a range of sizes from the compact 1.2m square Little Cubby House ($650), just right for a smaller courtyard or deck, to the long and skinny 3.6×1.2m rectangular Long Cubby House ($1900), with plenty of room to move around. Midi and Large cubby houses are offered too, there’s a size for everyone and every space. A simple installation (Castle and Cubby come and do it for you!) can turn that unused spot in your yard to one of the kids’ most favourite, just in a few hours. Castle and Cubby house prices include pretty much everything you need – hinged doors, hinged windows, servery windows, blackboard, corrugated iron roof, all recycled timbers, simple site preparation and the real deal clincher – installation. Included also is free delivery within 25 kilometres of Heathmont, Victoria (or $2 per kilometre thereafter), all you need to do is keep the kids busy while the build commences. 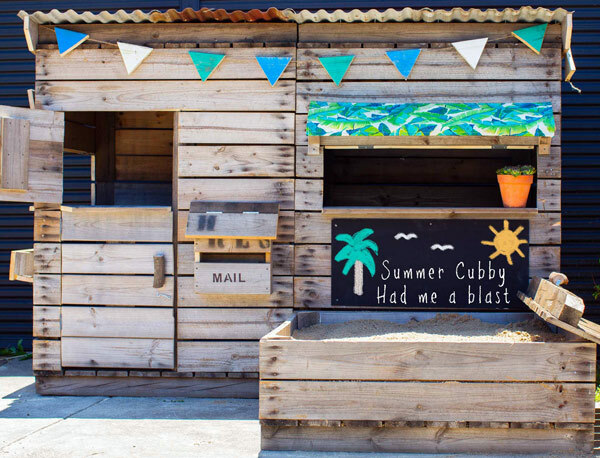 Of course the newest makeshift café, fruiterer, classroom, pet shop or toy store (depending on the day and who is in charge), needs to be fit out with accessories and the gorgeous Castle and Cubby team can help you out with those too. 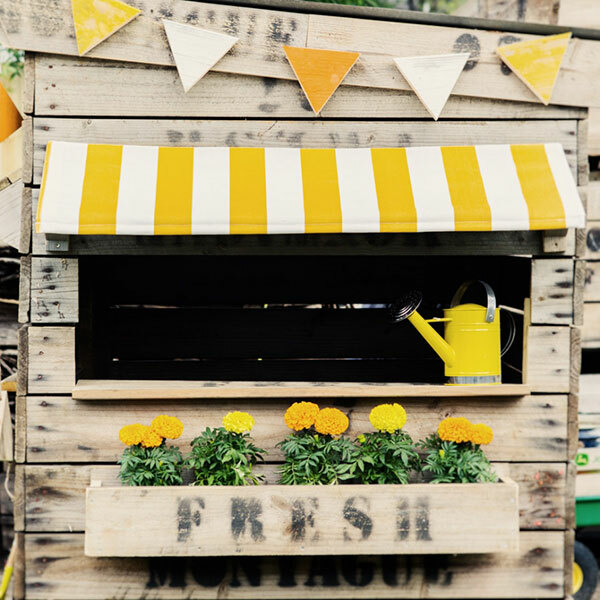 There are several add-ons available to really make your new residence shine, including mailboxes, natural or coloured wooden bunting, planter boxes, even timber awning with UV complete with water resistant fabric coverlet. All equally fun as they are fancy. Sandpits are also a speciality of the Castle and Cubby crew and can be made in materials to match your cubby or other recycled timbers. Custom works in whatever shape and size your heart desires are also welcomed. 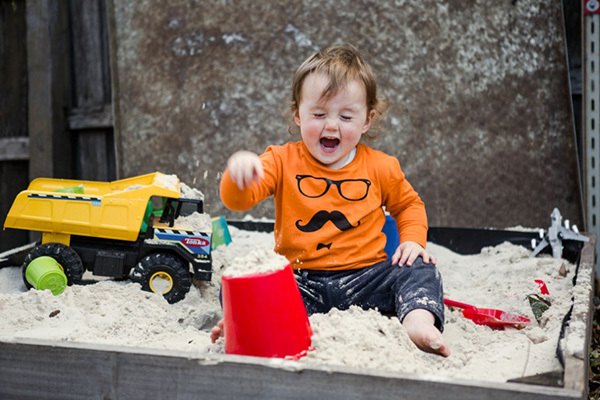 A petite 1.2 metre square is enough room for a few Tonka trucks, your best Tupperware and some sand building action – it comes complete with washed sand and costs an extra $195 when delivered with a cubby. 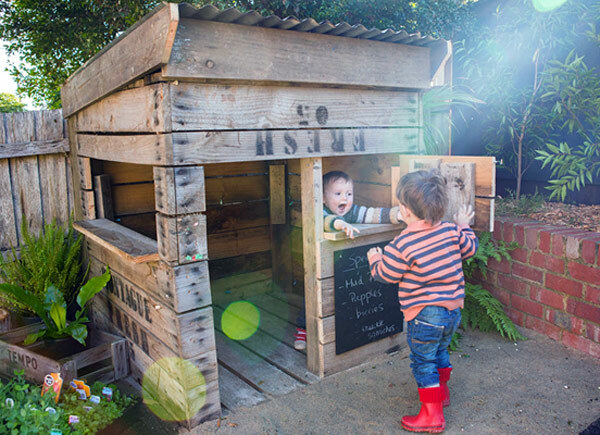 As mentioned earlier, cooler and quieter months are perfect for enjoying the great outdoors, those muddy footprints are better in a cubby house rather than on your own freshly cleaned floors! To keep play inspired throughout the cooler months and of course create lifelong memories, Castle and Cubby are offering Babyology customers 15 per cent off all products ordered and delivered between now and 31 August, 2015.